Guided reading groups are hard enough to manage without the constant activity that is created by students moving to and from reading centers. During team meetings, our 1st grade team regularly discussed alternatives to reading centers, looking for less disruptive alternatives for independent student work time. What we disliked the most was the loss of instruction time when students were stopping what they were doing, watching the "wheel" turn to the next activity and then cleaning up one area to rotate to the next. Sometimes it would take 3-5 minutes to move to the next center or to get to the guided reading table. Students not only took too much time to clean up, but also had questions or problems about what center to go to next. These transitions rarely went smoothly. They also complained that they weren't finished at their center and needed more time. There was so much unfinished work to keep track of. As teachers, we knew there had to be a BETTER, MORE EFFICIENT way to get students to work independently so we could teach our guided reading groups with very little instructional time lost. After LOTS of discussions, trial and error, we thought we would try a list approach. A MUST Do, MAY Do Approach. With this approach, students stay at their tables (I seat them with their reading groups) for most of the time except for partner reading when they sit on the floor or carpet side-by side to read. When called to the guided reading table, all they do is stop working and get to the table. No commotion, no wheel turning, no stopping everyone from what they were doing, etc. In other words, a lot more time for instruction! They have a list of what they MUST Do and when they are finished with that, what they MAY Do. I differentiate the lists for each reading group depending on their reading goals and color code the lists by printing the each list on a different color. For example, if my struggling readers are working on sight words, I make sure "Flashcards" and "Drills" are on the MUST Do list, not MAY Do so they are getting the practice they need. In other words, I determine what each group's goals are first, and then I create the lists and fill their bins with the needed materials. I purchased these bins to organize books for partner reading so they would stand vertically and titles could be more easily seen. I purchased them on Really Good Stuff HERE. I found this to be the best way to organize the bins. All bins and their parts, including the MUST Do, MAY DO lists, are color-coded to match the tables where they sit and/or the reading groups they are in. Really Good Stuff no longer sells the bottom bins that I have shown here, but I found some other primary colored deeper bins that would work HERE. In order to target your reading instruction and include materials that meet your students' needs, you need to do regular testing and group accordingly. I select seatwork that is differentiated to meet their reading goals. I use the activity sheets that come with our Houghton Mifflin Journeys series, but you can use any seatwork that supplements what your students are working on. For example, if your students are working on long vowels, my Long Vowel FLIP Books would be a perfect supplement! Or get the BUNDLE of Long and Short Vowel FLIP Books and save $$! There are also many Short Vowel FLIP Books to choose from as well! 7-Up Sentence Writing using sight words is another product that works great as seatwork. Their vocabulary notebooks stay in their bins all year. 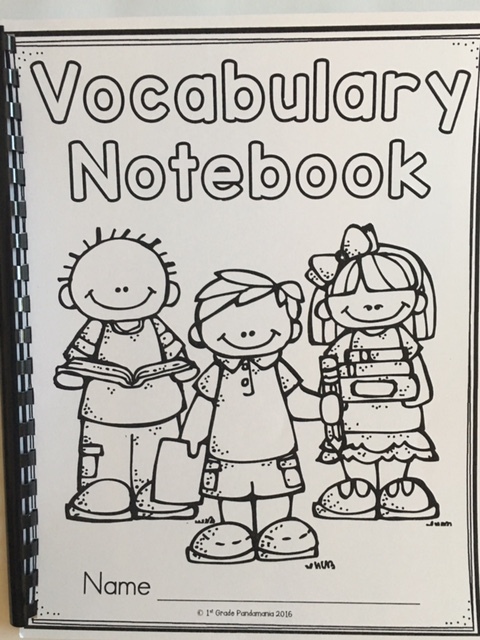 In my opinion, Vocabulary Notebooks should be used daily for students to record vocabulary words, define, use in a sentence and draw a picture. NEW! 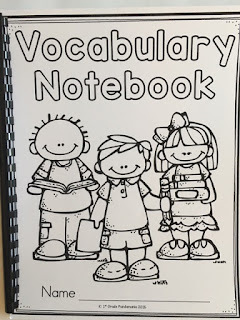 K-1 Vocabulary Notebook! Like many of you, I color-code my groups (red, yellow, green and blue) and their bins and folders reflect those colors. Their seatwork folders can have the Must Do May Do lists attached or displayed somewhere in the room for them to reference. 1. Is the work too challenging? Do I need to modify for that child? 2. Is the student off task during their seatwork time? 3. Do I need to move the student closer to the guided reading table so I can better monitor their independent work? 4. Is seatwork even appropriate for this student? Perhaps this student is not an independent worker and needs to be included in two guided reading groups. 5. Is it time for a note/call home? I change out books as needed, but research shows that repeated reading of familiar text can support fluency building. I make sure the books are at their independent reading level so they can easily read them with a partner with success. I also include books that they have read successfully at the guided reading table. See my TpT store for lots of center activities like the one below. Partner reading is a practiced skill. We regularly review expectations for partner reading. How they sit, who reads when, how to point, etc. I include 2 copies of each title per partnership if possible, but sometimes they share. :) Expectations for both of these scenarios is important as well. So far, our MUST Do, MAY Do system is working! As with any program, teaching students your expectations for each activity is a must. Our students enjoy mostly uninterrupted, quiet work time (unless they are called to the guided reading table) and much more instruction time at the guided reading table! More time in text. Isn't that what they need? 6 Guided Reading Tips That Work! Get a FREE month of ink from HP! If you print as much as I do (HOLY MOLY!) and you haven't checked out HP Instant Ink, you're missing out. (No, I don't work for HP, but I'm just passing along a tip.) If you have an HP printer, see if it's compatible with their program first. Go HERE to see if your printer is on the list. If it is, then you are in luck! Ink can be delivered to your door before you run out. It's like magic. They just know (a little scary if you ask me...). You pay a monthly fee depending on how many copies you make. Easy Peasy. If you use my code: http://try.hpinstantink.com/hBQ7j then YOU get a FREE MONTH and I GET A FREE MONTH and everyone's happy! Thanks for visiting and don't forget to follow my blog or follow me on Bloglovin' (See icon above on the right.) and "SAVE" this post on Bloglovin'! 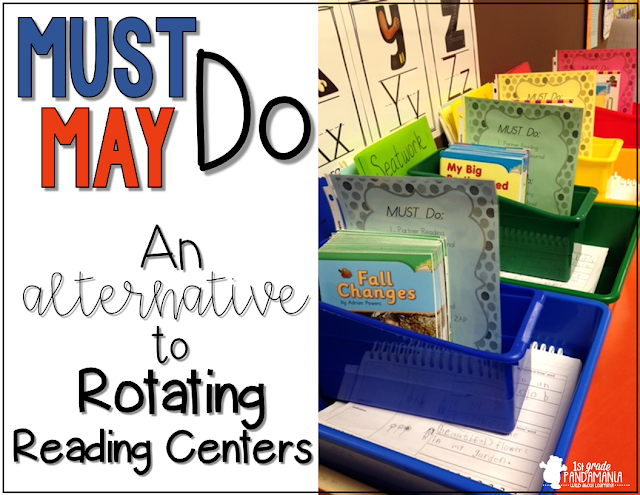 Want an alternative to rotating reading centers? Download a FREE exclusive guide to setting up a Must Do-May Do Program for your reading class! Check the titles that best describe you! Hi! I love this idea and am trying I out in my classroom next week. Do you put all of their seatwork for the whole week in their seatwork folder, or do you put it in every day? Hello! I'm so glad you love this idea. We do too! I choose to take out their completed seatwork daily and add new seatwork just to stay on top of it. I also write their names on the top of their seatwork because I have found it is challenging to determine who has not completed their work if I don't. It takes a couple minutes, but well worth it. Is the Must Do/May Do sheet for each day or each week? The Must Do/May Do sheet is used daily and changes as needed. I keep it generic without listing specific activities. For example: 1. Partner Read 2. Vocabulary 3. Seatwork Then I list the May Dos in the same fashion with "Game" and then I just switch out the game choices once a week. That way students are familiar with the routine and there are fewer questions about what to do. Thanks for stopping by! The way I work it is I set a timer first for partner reading (a MUST DO) and that is up to 15 minutes this time of year. But that is the only thing I set a timer for. The rest of the activities are on their own time (except for small group of course). Then after partner reading they move to their next 2 MUST DO's: Vocabulary Notebook and then Seatwork. Somewhere in that time I have probably interrupted their work to have them come to the table for small group. I don't have a lot of May Do activities--maybe 3 different choices per week-- so there is not a lot of hopping from one activity to another. If you have too many activity choices for them, I could see that happening though. I like to keep them busy with mostly their MUST DO activities for most of the time (or they are with me at small group). Keep the MUST Do activities routine so they know what to do and what the expectations are. There will be fewer questions about what to do and hopefully fewer interruptions and behavior problems. I also try to keep the Vocabulary and Seatwork at their independent level so it is challenging enough to review needed skills but not so difficult they struggle or don't understand what to do. I spend time each week differentiating seatwork for each group. Kind of a pain, but well worth the effort. If your students are getting to their May Do activities too soon, perhaps you need to add another MUST DO activity or lengthen their partner reading or independent reading or if they are ready, include a written response to reading or graphic organizer. OR if your students are working on fluency, include sand timers for them to use during their partner reading to time each other as they are reading familiar passages to keep them engaged for longer periods of time. So in other words, to keep them from hopping from one May Do to another, I try to keep them involved in their MUST DO activities for longer periods of time and only provide about 3 May Do activities. I hope that answered your questions! You have to play with it and make it your own. I would love for you to come back and let me know what you have found works best for your students! Again, thank you, Patrice for stopping by! Happy Holidays! Yes, your explanation answers my questions! I could visualize in my mind how this may unfold. Christmas break is upon us and I would like to try this for 2nd semester. Your point of time being lost as students transition from one station to next rotation is profound and I live it daily, so I am open to changing things up to give students more work time and also give us more guided group time. Thank you and I hope to share updates soon! P.S. Do you have any products outside of your school curriculum you use to differentiate for seat work? Enough rambling. I could have just written another blog lol. So, their must do assignments are for the day? For example: in your photo above you have as "Must Dos"- partner read, vocabulary log, seat work, read anthology story. So are these Must Do's for let's say Monday? Then on Tuesday you make a new Must Do May Do sheet that lists other tasks? Or do you use that same cover sheet and just change the seat work? I purchased the vocabulary notebook you highlighted in your blog. This took my my kids some time to complete. Maybe it was because it was their first time. Also, how long is your reading block or how long do you spend on must do may dos a day? Do you do this Monday through Friday? How many small group rotations do you get through a day? So, as you begin your Must Do May Do activities you begin with 15 minutes of partner reading? Does the whole entire class do this before you start to take small groups for guided reading? What books do they read? The books you put in their must day may do bins? I apologize about all of the questions. You have great ideas. Thank you for sharing. The must do's pretty much stay the same since they are generic...Partner read, vocabulary notebook, seatwork and anthology story all stay the same as a must do for a month or even longer. I just change out the books in the bin weekly that they use for partner reading. Students simply turn the page in their vocabulary notebooks and do the next page each day. I change out seatwork in their folders daily and they read their anthology story for the week and re-read their favorites. I keep it the same as much as possible so there isn't confusion and no questions while I'm teaching a group about what they are supposed to do. Routine is key so things move smoothly. It may seem dull, but students love knowing what to expect and enjoy seeing new books weekly seem excited about what will be in their seatwork folders each day. So to answer your question, yes I use the same cover sheet while changing out books, seatwork and games. How many vocabulary words are you requiring them to complete daily? Perhaps you can limit it to one or two words each day. Our reading block is 2 hours. We have an hour of whole group and then an hour of small group guided reading time M-F. I do 3-4 small group rotations. When my highest group is pulled by GT, then I have 3 groups 20 minutes each and I LOVE having the longer time to work with those groups. I understand that not everyone has that luxury. I am able to pack in a lot in those 20 minutes. Key--Keep it moving with little to no down time. Use every minute by having everything planned and ready to go. Don't apologize for your questions. Those are all good questions and I'm happy to have you pick my brain. I am considering writing another post to clarify the process. Is there anything else you think I should include in the post? If you can think of anything, or have further questions, email me 1stgradepandamania@gmail.com. I am retired now after 32 years of teaching, but I still use the present tense as if I am still teaching! It's hard to let go. Good luck and enjoy those kids! Congratulations on your retirement and thank you so much for spending so much time on your response to me. I appreciate it very much. We use Wonders Reading Series by McGraw Hill. The curriculum has 8 vocabulary words per week. Our curriculum came with leveled readers that somewhat pair with the weekly stories in their textbooks. I will maybe keep those for my time with them and put other books in their buckets. At the previous school I taught at were given tons of levels books. Unfortunately, the district I work in now did not provide that for us. I’m not the biggest fan of the leveled readers that came with the curriculum. Have you ever had the higher group do a chapter book study? You mentioned the anthology book as a must do activity. Did you use Wonders? Quite a bit of the students I have cannot read the weekly story from our textbook independently. However, they are tested on the weekly story every Friday so it’s be beneficial to read. This week I put a must do as read the sight words for the week for the on level groups and above level group. My below level group has nonsense words to help build their decoding skills. I was just looking through comments and noticed that my response back in November was never published for you to see. I'm not sure what happened. I apologize for that, but I know I replied to your second comment. Thank you for the congratulations. I am enjoying the second chapter of my life. Yes, depending on the level of the higher group I have had students read chapter books. I checked in with them daily and gave a purpose for reading dependent on the comprehension strategies and skills that were the study for the week. The anthology we used was Journeys Houghton Mifflin.If they cannot read the anthology story independently, it is important for them to partner read the story repeatedly with a competent reader. Another way to have them get more practice is to have them follow with a CD recording if possible. If your on-level readers need to practice the sight words, then that is perfect. Students reading fluently (50+ words per min.) typically don't need sight word practice. You may need to test sight words to know for sure. Your above readers may not need sight word practice at all. Thank you for your patience with my response. Again, I repied but it didn't post for some reason. Hope your second semester is going well. I’m trying to visualize your idea. We are required to do rotations and I struggle with that waisted transition time. I’m wondering how how to manage this when you do not have equal amounts of children for each group. I have 24 students by myself and a large range of reading levels. I have 3 groups with 4 children and 2 groups ..it has to be that way because of their level. I have no students pulled out. 1/2 of my students have attention issues or difficulty with time management. I don’t think they would be able to switch from one activity to the next on their own. We only have an hour so I have 4 15min rotations and I have to rotate my 2 higher reading groups as I can’t get to 5 groups a day. Do you have an aide? I feel like that would help. I hear you about the wasted transition time. If your students are currently working independently at centers now, they should be able to manage working through a MDMD system with some guidance at first. Have you subscribed to my email? You get a free MDMD guide that helps to set up the system and there are tips and tricks included in the guide. You will also be subscribed to a newsletter that has many freebies and tips that might help. Look on the side of my blog to sign up. 1. Keep it simple with activities the students are familiar with and that they can complete independently. 2. Practice with them without guided reading for awhile so you can monitor and praise as they work from one task to another. 3. If students still struggle with completing activities independently, try to partner them up with responsible partners for awhile or assign an "expert" who wears an EXPERT lanyard or name tag. The expert can help when needed. It's frustrating when you have students who have special needs and they are not getting the intervention needed. When I was teaching (currently retired after 32 years), I did not have an aide. I had many student teachers who helped along the way, but I had many years where I had children who struggled academically and behaviorally. 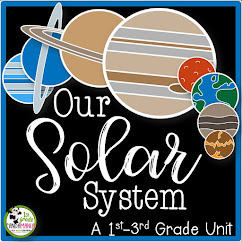 It is difficult to implement any system with some children, but this system encourages independence and can be beneficial to these students. They feel a sense of pride when they accomplish tasks well at their level. Hi! Any advice of adapting this method for Kindergarten? 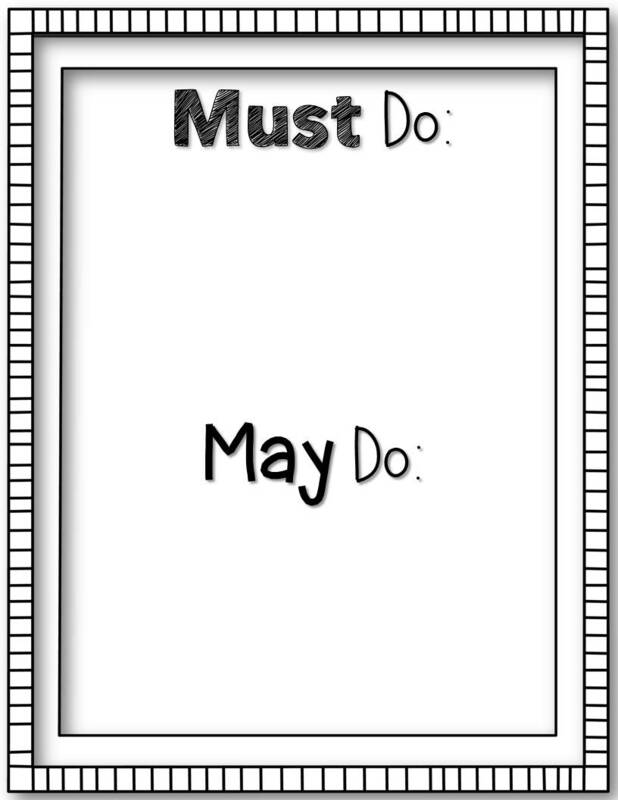 Must Do May Do can certainly be used in the kindergarten classroom and our kindergarten teachers use it with great success. With the proper practice, instructions and appropriate MDMD lists, students in kinder can work independently and be proud that they are working like the big kids do. Please don't be offended if my steps below seem obvious to you. First, I would make sure your Must Do May Dos are simple steps and all the same for every student when you first begin. That way students can better understand the steps and support each other if needed. I would also gather them together and discuss the procedures and steps with them your Must Do May Do list. You may only want to have 2 Must Dos and 2 May Dos to begin with that are super simple and already familiar with if possible. You want them to understand that they have to do the MUST DOs in the order given and before the MAY DOs can be started. Make sure they understand the difference between the terms MUST and MAY. 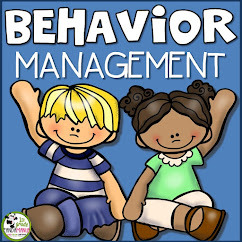 Once they understand that concept and see the poster, they need to understand they will be working through the steps one after the other on their own time (now that they are big kindergarteners LOL) because you will be busy teaching another group and won't be able to help them. I would provide a couple days at least of practice without guided reading groups so you can monitor their progress. Verbally reward/praise students who follow directions. Let them know that soon they will be working on MDMD on their own and YOU will be teaching some groups up at the table while they work quietly like big kids. I would also "hire" a MDMD "expert." This person is a student who gets it and would be helpful to others who need some support with what to do. In a couple weeks, you will receive an email from me with 54 MDMD practice question cards that you can use during a class meeting. You simply pull a card, read the question (eg: What do I do after my turn at the guided reading table?) Students turn and talk and then you discuss. This is a great way to review your procedures and expectations periodically throughout the year. Some cards may not be relevant to your group. Pull those out. There are also blank cards for your to print and write your own questions for your class. You will also receive other tips and resources along the way that should help you. Once you get started, you will find that you are automatically adjusting and tweeking things as needed. I hope some of this has helped! I'm here if you need me.